” There’s quite a lot that is in new in this third edition. We surveyed general practitioners across Australia and got a fantastic response rate. And so we came up with new topics that were about fetal alcohol spectrum disorder, preventing child maltreatment, family abuse and violence, lung cancer, as well as some more emphasis on the health of young people. ” Many of the problems that confront Aboriginal people and Torres Strait Islanders are social, they are about identity, they are about self-determination, they are about poverty and disadvantage, they are about access to education. You might not blame a GP for thinking, well, what am I going to do about all those, because those are the upstream causes of the problems that Aboriginal people can confront, not all, but can confront. 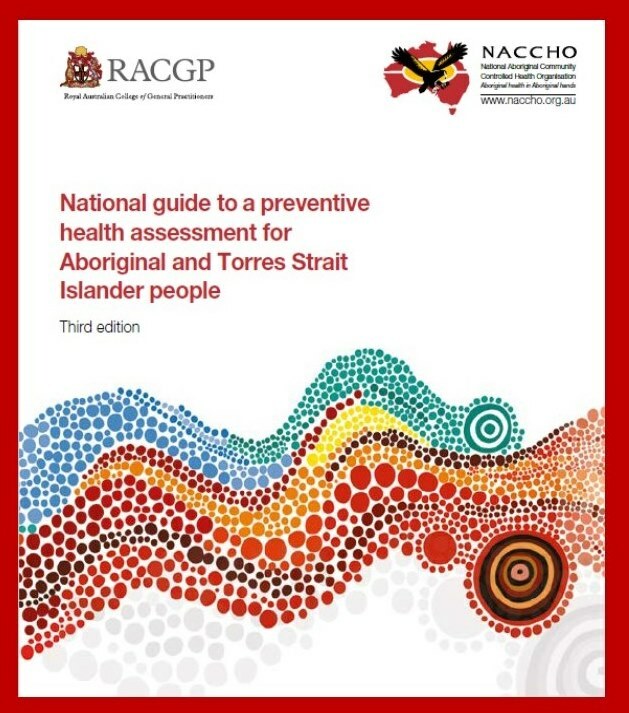 A new guide for Aboriginal preventive health was recently released by the RACGP and NACCHO . It’s aimed at stopping conditions from developing before they occur, and also secondary prevention, which is existing conditions, from getting worse, and that’s through screening, testing and the like. And that is made easier when a general practitioner is clued in about what conditions the people they are treating are more likely to develop. That’s especially important for Aboriginal and Torres Strait Islander people who are at increased risk of a variety of medical problems, not least being type 2 diabetes and heart disease. 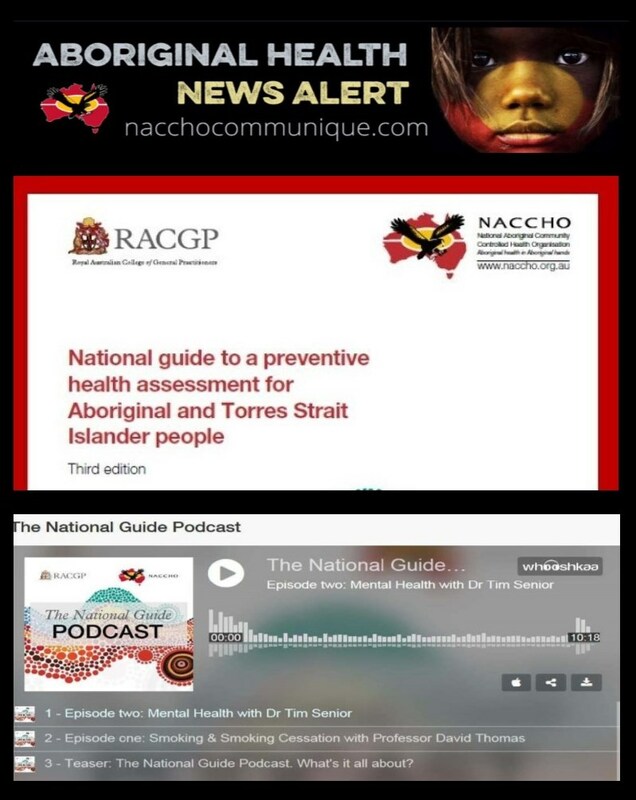 That is what has prompted the development of this preventative health guide for GPs and Aboriginal healthcare services. The guide outlines health checks doctors can do, questions to ask that are aimed at picking up some of these preventable conditions. Part 2 Sophie Couzos: It’s a pleasure to be here, thanks Norman. Norman Swan: What is the significance of this guide? You’d think that doctors should know what to do about Aboriginal and Torres Strait Islander people in terms of what to check and so on. Why do you need a guide like this? Sophie Couzos: There’s a lot of evidence to show that doctors and healthcare providers could do a lot better in offering preventive health assessments or health checks to the Aboriginal and Torres Strait Islander population. One of the reasons is that healthcare providers just don’t know what they should offer, how they should have a conversation, what they should talk about, what are the priority issues. There’s a lot of variability and there’s a lot of clinical practice uncertainty as well. 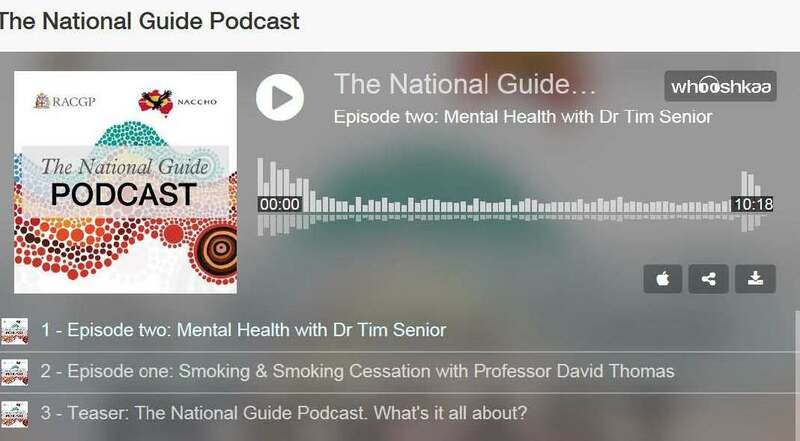 So when we developed the national guide way back in 2000, the late, great Dr Puggy Hunter and myself got together and thought, well, let’s provide some evidence-based guidelines to help healthcare providers offer the right sort of assessment for Aboriginal peoples and Torres Strait Islanders. Norman Swan: This is presumably not just for doctors and Aboriginal health workers in Aboriginal medical services, very specific community controlled organisations of which I think there are 300 outlets around Australia. Presumably a significant percentage of Aboriginal people go to regular general practitioners, so it’s for regular GPs too who’ve got Aboriginal patients. Sophie Couzos: Absolutely. I call them mainstream general practices and they have an important role to play. Norman Swan: There is a totally unacceptable gap, depending how you measure it, of between 11 and 17 years, that’s the life expectancy gap, but there’s all sorts of other gaps as well in terms of heart disease, kidney disease, child development and so on, and you take that comprehensive lifespan approach in this preventative guide. Sophie Couzos: Prevention really starts from the antenatal period, and there’s preventive interventions at every point, and there’s a tremendous opportunity when a patient presents to a healthcare service provider to use that time to consider how disease can be prevented and what sort of risk factors can be identified in order to pick up conditions that may be asymptomatic, and that means that a person might have a disease and not know it, and so a preventive health check is there to pick that up. Or to have a discussion about preventing disease completely. A great example for that intervention is immunisation. Norman Swan: Many of the problems that confront Aboriginal people and Torres Strait Islanders are social, they are about identity, they are about self-determination, they are about poverty and disadvantage, they are about access to education. But you are arguing presumably that there are just simple things that GPs could do that would make a difference without having to change the world. Sophie Couzos: Absolutely. I mean, problems like low birth weight can be prevented. When you say that some aspects of Aboriginal health seem to be overwhelming for healthcare providers, well, simple things like a good antenatal care, good quality healthcare and preventive healthcare and patient-centred care can make a huge difference to health outcomes, and this is the purpose of the national guide, is to make the evidence for these sorts of interventions and choices that healthcare providers can make to improve quality care, to make it easy, make it accessible. Norman Swan: So as you said at the beginning, it’s been going for a while. This is the third edition. What’s new in the third edition? Sophie Couzos: There’s quite a lot that is in new in this third edition. We surveyed general practitioners across Australia and got a fantastic response rate. And so we came up with new topics that were about fetal alcohol spectrum disorder, preventing child maltreatment, family abuse and violence, lung cancer, as well as some more emphasis on the health of young people. But of course the existing topics which comprise the vast bulk of primary healthcare and preventive interventions like screening for alcohol, early detection of diabetes, promoting stop smoking, the benefits of immunisation, child health, like picking up anaemia early in children who are at risk, these things were revised to reflect changes in research literature. You’d think that Australia really had this right, you’d think that our Australian healthcare system is already configured around patient-centred care, but it isn’t. So there’s a lot of work to be done in improving Aboriginal people’s access to preventive healthcare, primary healthcare. Norman Swan: So when you talk about poor access, Sophie, what are you talking about? Sophie Couzos: I’m talking about two pieces of information that is regularly released by the Australian Institute of Health and Welfare which shows that access to Medicare and access to the PBS, which is the Pharmaceutical Benefits Scheme, is much less on a per capita basis for Aboriginal and Torres Strait Islander peoples than it is for other Australians. Norman Swan: So for the level of ill health, they are underutilising what’s available. Norman Swan: And I think we’ve covered this before some years ago with the late Gavin Mooney where in fact suburbs like Toorak, Armadale, Vaucluse, Nedlands, have much higher proportion to use of these Medicare and PBS items and paradoxically they are healthier, and if you look at postcodes for Aboriginal people they are at a very low level. Sophie Couzos: That’s right, and here’s an easy example for you, the Pharmaceutical Benefits Scheme, for every dollar that a non-Indigenous Australian spends or is expended, only 63c is spent on an Aboriginal and Torres Strait Islander person. That is really astonishing, given the three times rate of morbidity and disease that exists in the Aboriginal and Torres Strait Islander population. Norman Swan: So circling back to the guide, this identifies people who might need statins or anti high blood pressure tablets or other treatments, and increase the access to them. Sophie Couzos: Absolutely, and having that continuity of care with your patient. Norman Swan: Sophie, thanks for joining us. Sophie Couzos: It’s a real pleasure, thanks Norman. Norman Swan: Dr Sophie Couzos is project lead on the National Guide to Preventive Health Assessment for Aboriginal and Torres Strait Islander People, and a public health physician who works with the Queensland Aboriginal and Islander Health Council. 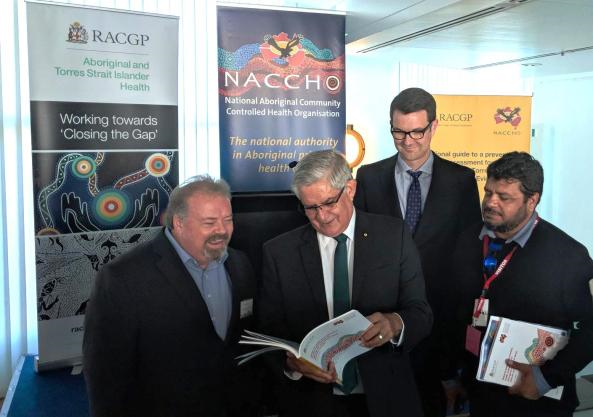 The third edition of the national guide is being launched on Wednesday at Parliament House, and it will also be available on the website of the National Aboriginal Community Controlled Health Organisation, NACCHO . Great information, I will be sure to pray over these initiatives and projects. Keep up the compassionate work.